Babywearing is incredibly popular these days and with good reason! When using a carrier for your baby, it’s so easy to get up and get things done as your hands are free. You know that your little one is getting the attention and support that they need while you as the parent get the opportunity to move around freely. Babies who are carried cry less and bond more than babies who are left on their own or who are pushed in the stroller. But what is the best way to carry that little one? There are pros and cons to both structured carriers and baby wraps, and there’s no rule as to which one is best for all families. The important thing is to find one that’s right for you and your family. In order to do that, let’s dig into some basic knowledge about these two very diverse but also very useful kinds of babywearing devices. A baby wrap is a kind of carrier that’s made of fabric and that wraps around you and your baby. It might have some bits of structure like rings or a buckle or two, but for the most part, it is simply fabric. It takes on the form of your body and your baby’s body when you put it on. These kinds of carriers can be a bit of a challenge at first, but with use, most parents find that they’re able to get the carrier on quickly and without struggles. However, the learning curve can be steep! For some parents it takes a while to get it all figured out and getting discouraged with the process is a big reason that they give up on wraps – but success is usually close at hand! Most companies have videos up that will help give you some advice about how to properly put these baby gear on so that you can get the most out of your wrap. There are really two kinds of wraps: true wraps and slings. Both offer the same advantages, but wraps are really just a long piece of fabric where slings have a ring or buckle to attach with. What’s great about baby wraps? Here are a few reasons to love them. 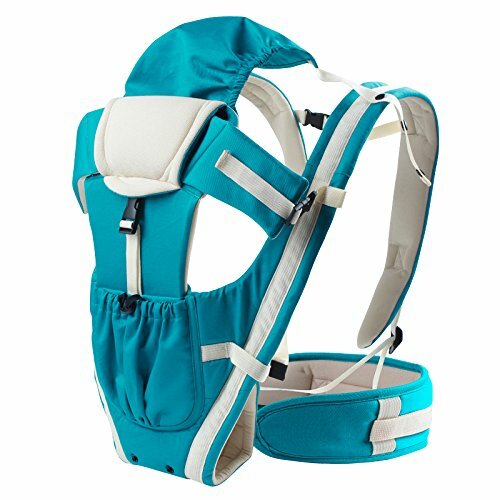 A structured carrier is a preformed baby wearing carrier that’s made of a stiffer material than a wrap and that is more intentionally formed by the designer and manufacturer. There are so many kinds of structured carriers. There are structured carriers that go on the front and that go on the back of the body. Some are soft and some are harder. Some offer shade and pockets, others are just plain. What all structured carriers do have in common is that they go over the shoulders of the parent and around the waist, with the baby seated in the center or sometimes slightly to the side for a hip carry. Most offer just one or two positions at most, and structured baby carriers don’t offer a lying position for the littlest ones. Just as with baby wraps, it can take some getting used to when it comes to figuring out how to easily get in and out of a structured carrier, but with practice, you’ll find that the process can be done by yourself and with minimal trouble! Again, go online and check out how to videos if you’re struggling. Plus it’s always good to just take some time to practice. Whatever kind of babywearing you decide is best for you and your child, the most important thing is safety! Make sure that the carrier that you choose offers the support that your child needs, particularly for young children who need extra head support, and that the carrier is secure so that the baby doesn’t risk falling. And also make sure that it offers you the ergonomic support that you need so that you don’t find yourself in pain from carrying that little one around! Babywearing has been around for thousands of years, and with good reason – it makes parenting a little one easier and it keeps those babies happier!